Capirotada, or Mexican Bread Pudding, is a traditional Mexican recipe eaten during Lent. It is a favorite dessert or sweet treat especially on Fish Fridays. 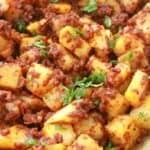 Watch the VIDEO below to make this recipe. Ashes. Ashes. 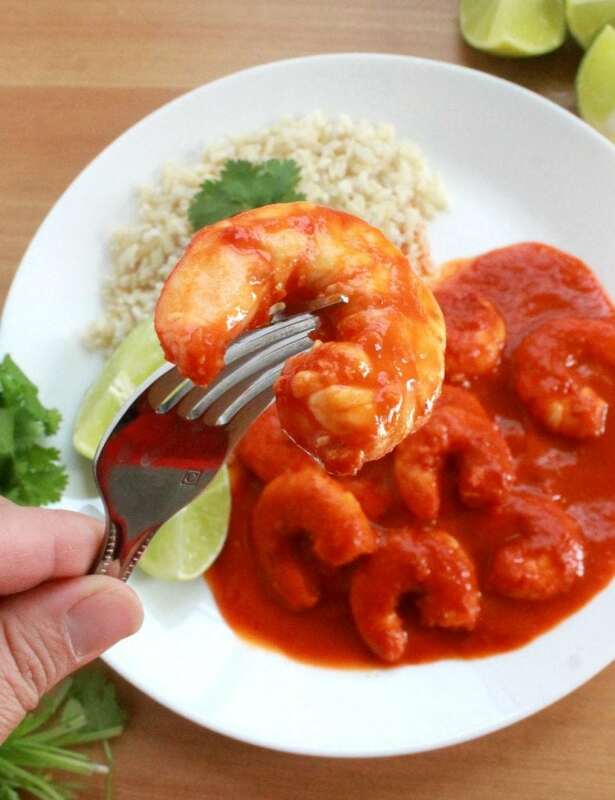 We all fork down… on Capirotada! For my non-Catholic readers, the first day of Lent is called Ash Wednesday. I’ll give you a summary of the day. We start by getting ashes put on our foreheads. Then there’s lots of praying – I’m talkin’ on-your-knees intense prayer fest. Some people will even fast. (My husband says that he doesn’t do fasting. He prefers “slowing” instead). As a kid, we would have planned for months what we were giving up for Lent – chocolate, pizza, TV. It’s a very religious time, but for me, the good foodie that I am, I love the food. My favorite dish: Capirotada, or Mexican Bread Pudding. There are variations of this dish. 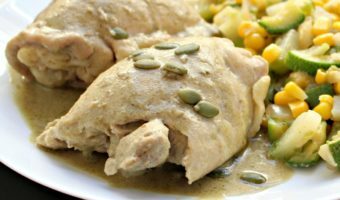 Capirotada Mexicana is either made with a milk or water base. In Spanish, Capirotada de Agua, and Capirotada de Leche. Follow the instructions in the recipe up until you start layering. Put in the oven 350 degrees F for 20 minutes, or until the cheese is melted. 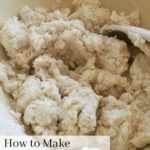 The water base Capirotada recipe is what I grew up with, and it is super easy to make – easy peasy, never sleazy. You make the sweet syrup first using a full piloncillo stick. If you can’t find you can piloncillo substitute with 1 cup of brown sugar and stir as it cooks. 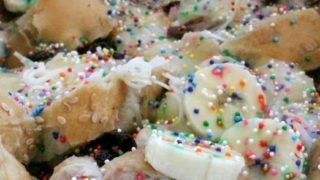 During Lent, Mexican bakeries will sell already sliced bread just for Capirotada, or Mexican Bread Pudding. 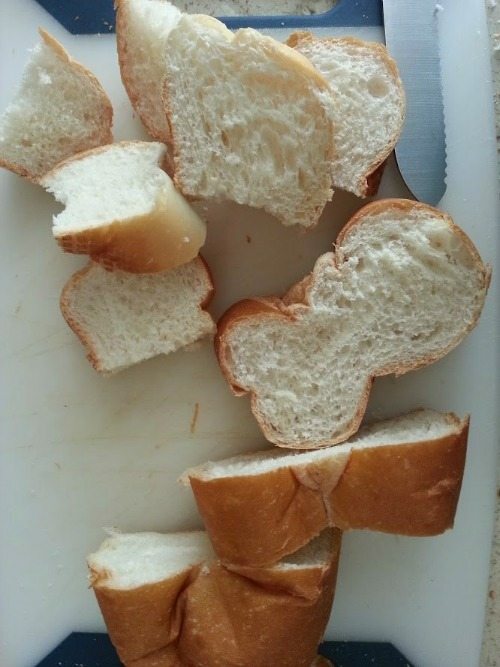 I find that bread to be too hard. Typically, we use old bolillo for our Capirotada recipe. If you can’t find either, a cut up French Baguette works well too. (That’s “Oui! Oui!” instead of “Si! Si!”). • It’s only natural to use Mexican bread to make Mexican bread pudding. Here’s an idea: Before the bolillo goes bad, wrap it up in plastic wrap, and stick it in the freezer. Bread can last up to 6 months in the freezer. I seriously want to make this capirotada recipe all year long, but of course, I don’t. I only make this during Lent. Last but not least are the toppings. My mom always put banana and nuts. 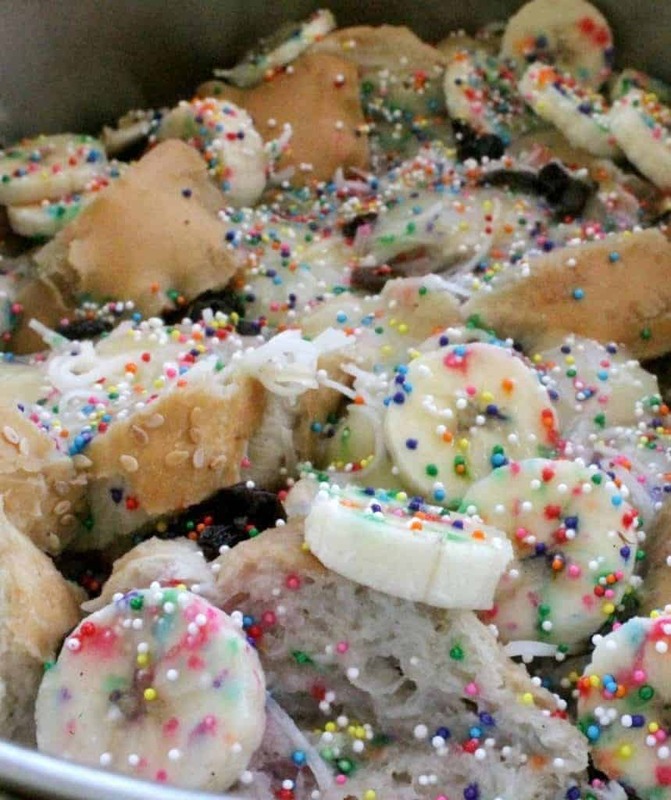 Capirotada with sprinkles is an absolute must in my family! 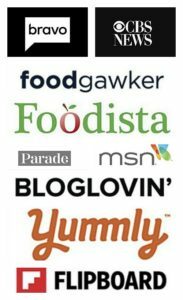 What type of cheese to use for Capirotada? 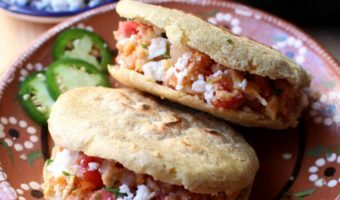 Queso Monterery, Queso Oaxaca, Queso Chihuahua are all acceptable and authentic Mexican cheeses for Capirotada. I had a long discussion with a follower on Instagram about this particular subject. They saw a Capirotada recipe using yellow cheese. Yellow cheese is NOT authentic Mexican. Any nopal-wearing, can name all 31 states in Mexico, grito-shouting Mexican will tell you the same thing. That said, our families had to adapt when they came to the US. Maybe their grandmothers couldn’t find our cheeses and could only find yellow cheese. It is their family’s recipe, and I believe in respecting family recipes. Pour the sweet syrup into the pot over the layered bread and cook on very LOW heat. We normally eat Capirotada on Fridays when we don’t eat meat and only a light fish meal aka Fish Fridays. Enjoy! Lent ahoy! People needed to use up leftovers before the beginning of the Lenten fast. 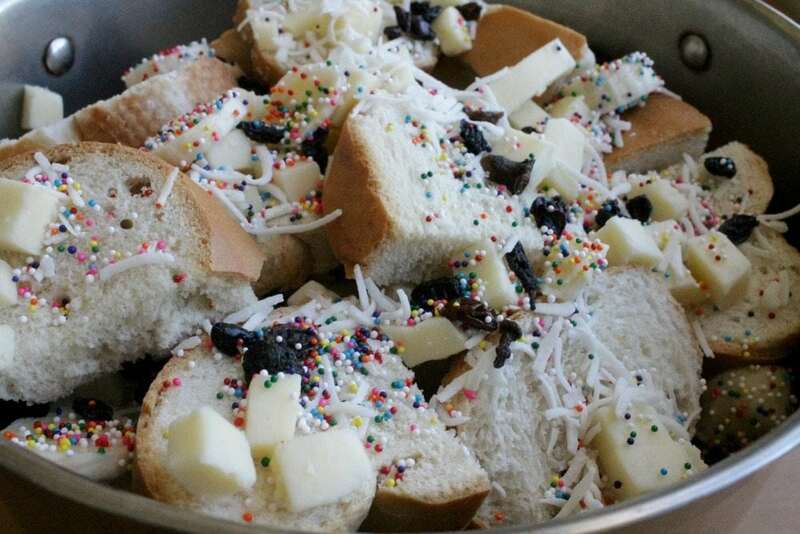 Some genius person decided to mix bread, syrup, spices, and white cheese together. It has some strong Catholic roots. • The bread represents the Body of Christ. The syrup his blood, the cloves are the nails of the cross, the cinnamon stick is the wood used for the cross. The melted cheese stands for the Holy Shroud of Turin. The original Capirotada recipes were even recorded by the Holy Office of the Spanish Inquisition. We’re talking 1640s! They can still be found in the archives to this day. A big serving of this Mexican dessert will fill you up. Man, let me tell you… It really hits the spot. You can serve it either warm or cold. I find that warm version of Capirotada (Mexican Bread Pudding) is great because of the ooey gooey cheese. However, I also like to bite into the cheese when it’s cold. I’ve been known to eat Capirotada for breakfast… don’t judge me! I don’t recommend freezing it because it will lose texture and flavor, but it can be done. It will last for up to 5 months. Again, there are different variations, and it almost seems like every family has their own recipe. Hope you enjoy my family’s recipe. For all dessert lovers, you’re going to love my Capirotada de Conchas (Conchas Bread Pudding). Capirotada, or Mexican bread pudding, is a traditional dish eaten during Lent. It is a favorite, sweet treat especially on Fish Fridays. 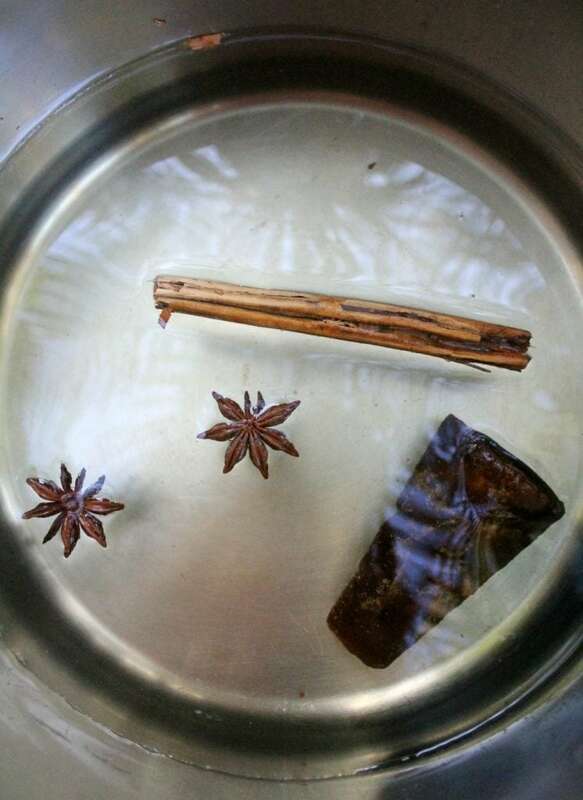 In a pot, add the water, piloncillo, cinnamon stick, and star of anise. Bring to boil and let simmer for 5 minutes, or until everything is dissolved. 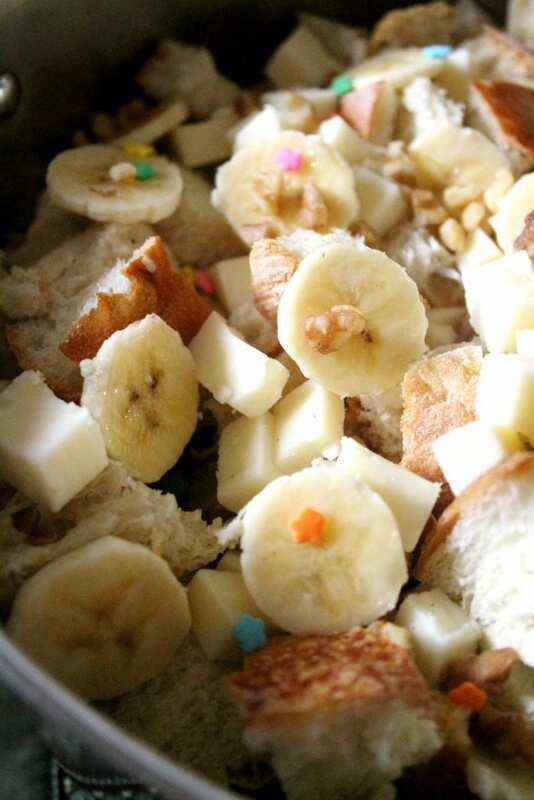 In a large stockpot, add a layer of bread, bananas, nuts, and cheese. Keep layering until there are no remaining ingredients. Add the hot liquid to the pot. Place the pot on the stove top. Make sure it’s on LOW heat and cook for 7 minutes or until the liquid is completely absorbed and the cheese is melted. Turn off the stove and let sit for another 8 minutes before serving. 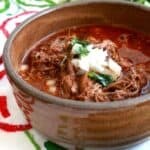 You can substitute the anise for whole cloves or use both. Uhhhm not sure this time! Cheese and banana together? Wondering if I can try a vegan option and how it tastes! Thanks for sharing the history of this! Hope you do. 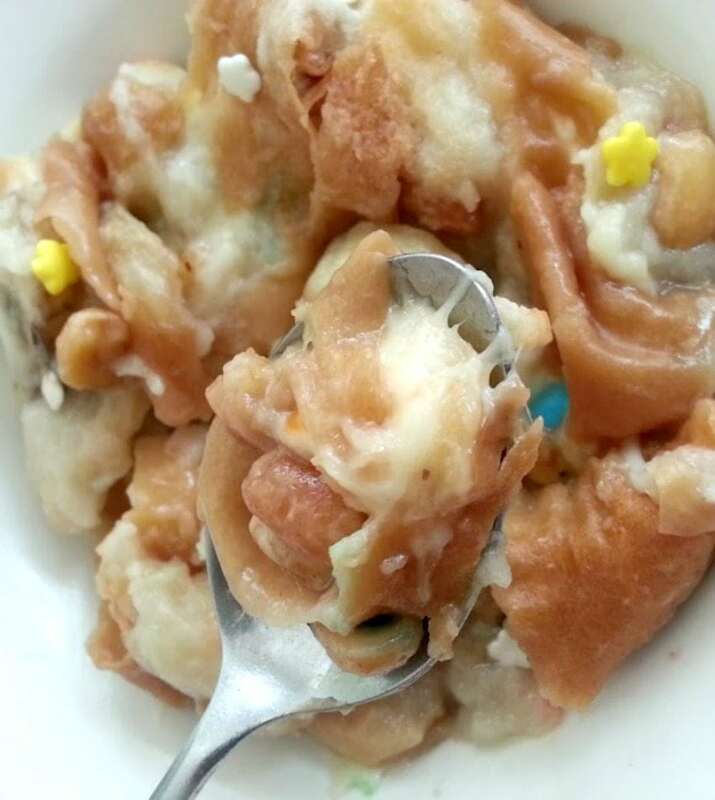 This Capirotada recipe is delicious! So I’m catholic but had never heard of this bread pudding! It looks AMAZING!!! The sprinkles are such a fun touch!